Anglepoise reimagines their bestselling Model 90 lamp and shrinks it down for a flexible desk lamp you can use anywhere. 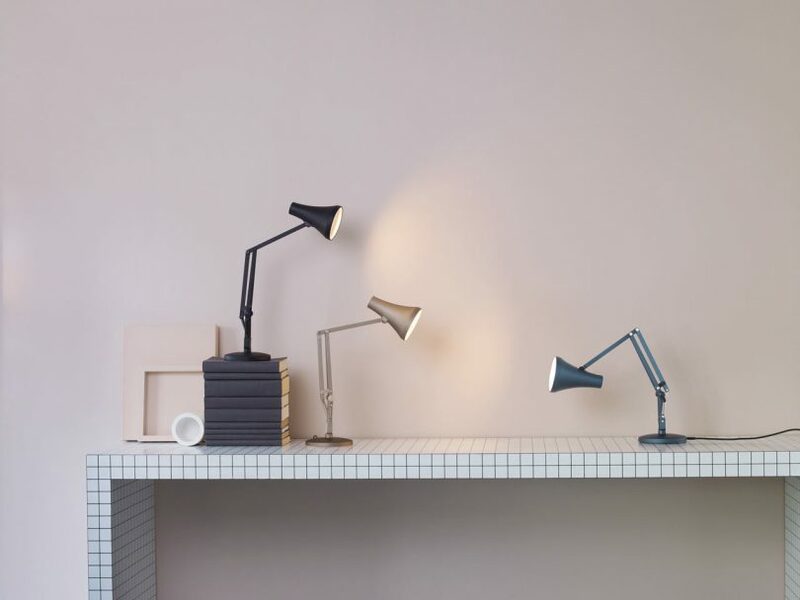 British lighting brand Anglepoise® has been creating their iconic desk lamp since the 1930s and in that time they’ve gone big and unveiled special designer editions. Never resting on their laurels, they continue to up their game with new designs and reimagining older ones, like their latest release where they go tiny with their bestselling Model 90 lamp. The 90 Mini Mini lamp offers all the features that make Anglepoise lamps so coveted all while shrinking it to its new tiny form. The 90 Mini Mini stands at half the size of a standard desk lamp making it work in just about any spot you need extra light. While its size is ridiculously cute, it still packs an unbeatable punch with a long-life, dimmable, low-energy LED module that’s integrated into the shade and will last for up to 20,000 hours of usage. If you end up burning it out, you can replace the shade for a new one. The lamp is conveniently powered by USB allowing for greater flexibility. The shades fully rotate and tilt up and down, while the entire lamp can spin 360 degrees on its base. 90 Mini Mini launches this week exclusively in Northern America at the MoMA Design Store and online at anglepoise.com and store.moma.org. It’s available in Carbon Black with Black, Steel Blue with Grey, and Warm Silver with Blush for $150.